I found a beautifully illustrated book by Evelyn Lawrence and Kathy Wright filled with pictures of hooked rugs done by Magdalena Briner Eby (1832-1915) from Perry County, Pennsylvania. 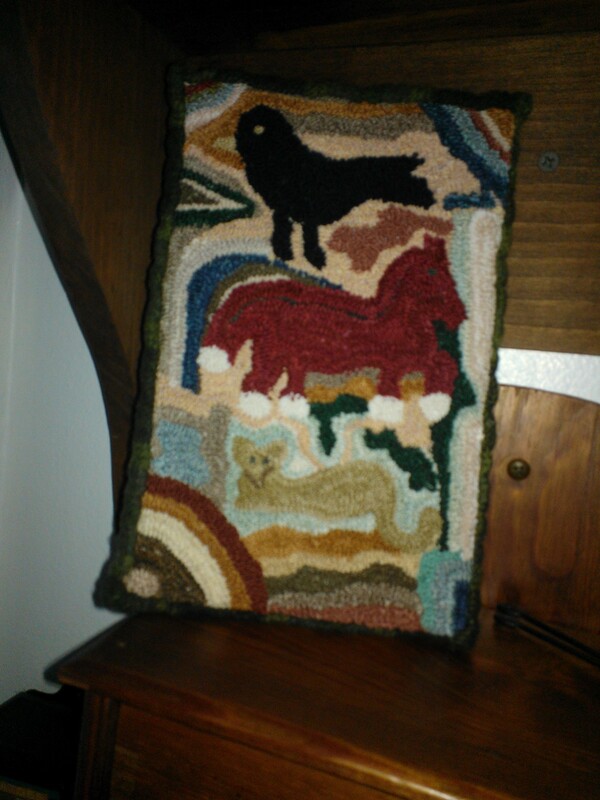 While Magdalena worked with wool and rug hooking, primitive design and punch needle also make a perfect pair. 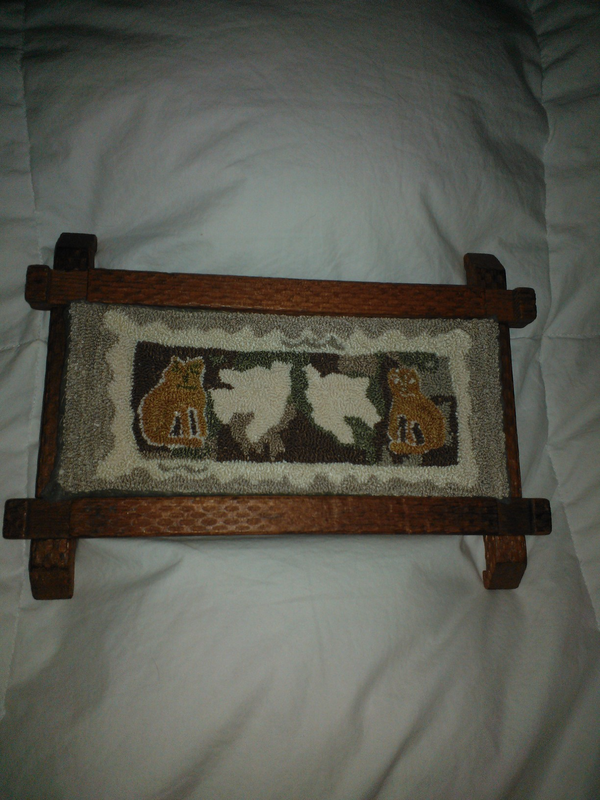 Marion, The frame you made out of the old Lincoln logs is perfect! That basket of logs I found when we visited the antique store was a great find.